You are at:Home»Herbs»Cochlospermum gossypium DC. Latin name : Cochlospermum gossypium DC. 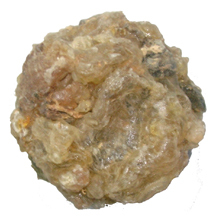 Description : The gum is adaptogenic, astringent and demulcent. It is useful in cough, tuberculosis, hoarse throat and scalding in urine. Also useful in diarrhoea and dysentery. It also stimulates the immune system. Recommended Dosage : 1 to 3 g powder. Contraindication : This gum has no known warnings or contraindications.